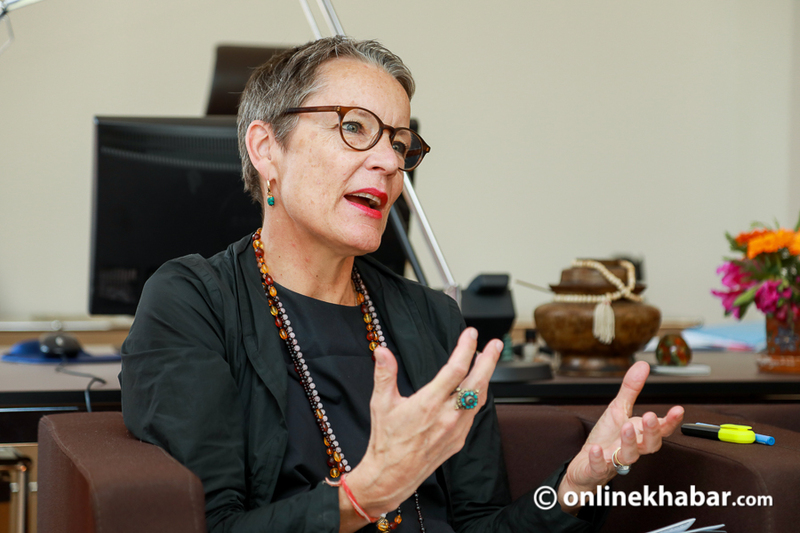 Elisabeth von Capeller is Ambassador Extraordinary and Plenipotentiary of Switzerland to Nepal. She began her tenure in office in Kathmandu on February 8, 2018. Born in 1961 in Basel, she obtained a master’s degree in agricultural engineering from the Swiss Federal Institute of Technology, Zurich. In 2007, von Capeller came to Kathmandu to work with the Swiss Agency for Development and Cooperation (SDC) in Nepal. In 2009, she was appointed Head of Cooperation and Deputy Head of Mission. In December 2014, she was named SDC’s Head of the department for Cooperation with Eastern Europe. Let’s begin the conversation with an overview. What are some of the key aspects of Nepal-Switzerland relations? Nepal-Switzerland relations started 60 years ago. During the early years, we focused more on the mountains, where Switzerland knew how to bring changes. We were also engaged in developing carpet factories for (Tibetan) refugees. Over the years, our engagement with Nepal has evolved through various processes. When Nepal did not have a democratic system, we were supporting it in areas such as the construction of trail bridges, roads and developing agriculture programmes. We were more project-based. But since the introduction of the multiparty system, our approach has changed. We have requested the government to take over (the projects). For example, all trail bridges are planned and built by the government of Nepal with the technical assistance of Switzerland. Now, with the introduction of the new federal system, we have continued our cooperation. 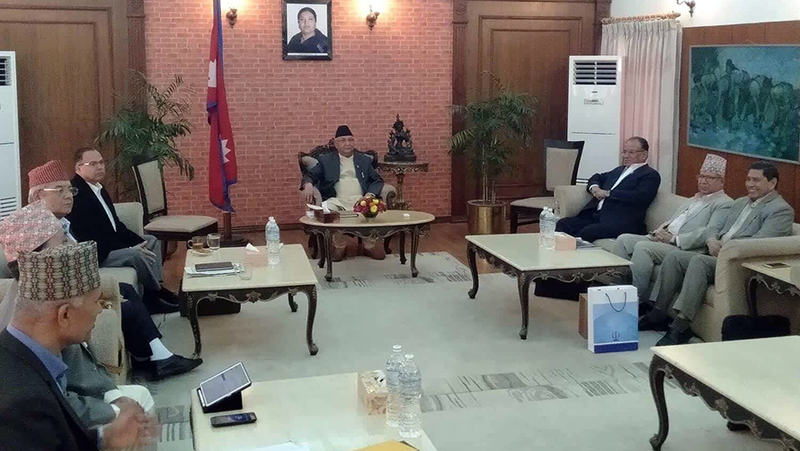 Overall, we have adapted our cooperation to the system in Nepal. Now under the new system, we are also focused on the implementation of the new constitution. 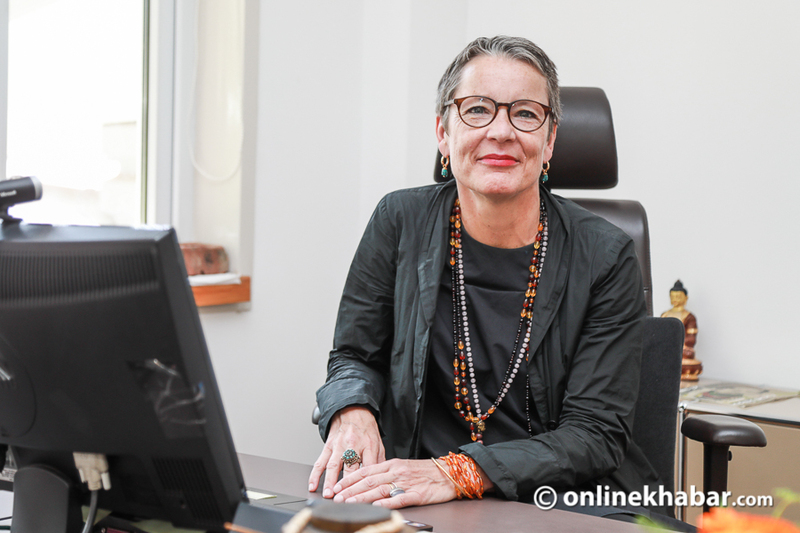 You said that Swiss cooperation has evolved over time to adapt to the changes in Nepal. But Nepal’s expectations from the international community has also changed in the past few years. Until recently, the government wanted more development aid, but now it says it needs investment. In this context, what is the focus of the Swiss government: aid or investment? We have a mixed approach. In our new strategy, we focus on economic development because we agree that development can only take place with the engagement of the private sector. We are supporting the government to develop an apprenticeship system—if you don’t have well-skilled staff, you cannot have economic development. We have understood that industries are very much interested in this model. We also believe it is the young people of Nepal who have the knowledge and interest to invest in Nepal. In order to attract large scale foreign investment, Nepal is hosting an investment summit this weekend. Does Switzerland have anything interesting and exciting to offer to Nepal during the event? We consider this forum as an important step towards creating a conducive environment for the private sector. Nepal has to provide a conducive policy environment where the international private sector can come in. I have understood some efforts have been made in this regard. But, we have to understand that such forums are not only about ‘big’ investments; they are also about the startups, which are carriers of innovation and economic development. Apple and Alibaba started as startups. That is something we have to promote. Probably Nepal cannot be a country of choice for heavy industries; we understand that its real economic development is possible through startups. These startups cover an area not covered by China or India. 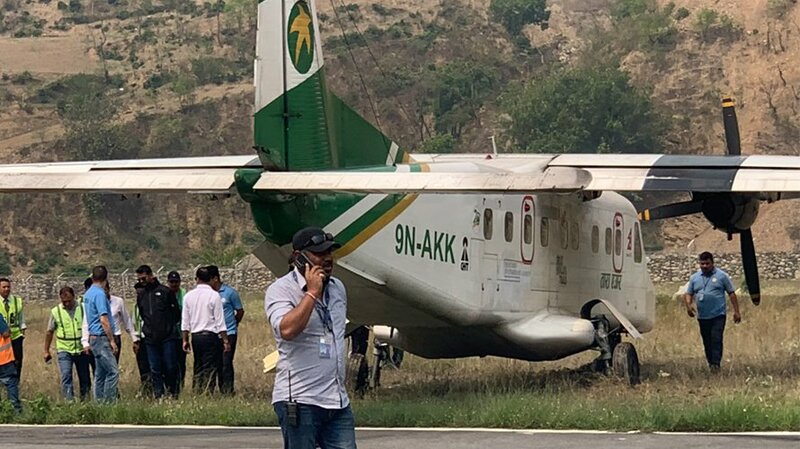 They also allow young people (who are currently abroad) to come back to Nepal. There are a lot of Nepalis who want to come back and do something. The financing of startups should be seen as an equally important issue. There are a lot of Nepalis who want to come back and do something. The financing of startups should be seen as an equally important issue. You know the Swiss people don’t have big investments in Nepal; but we have two or three small ones that are really working hard. They have not found a suitable environment to grow. Do you mean that the Swiss delegates will raise their voices for startups during the summit? We have a mixed group there. There are one or two big companies and some startups. 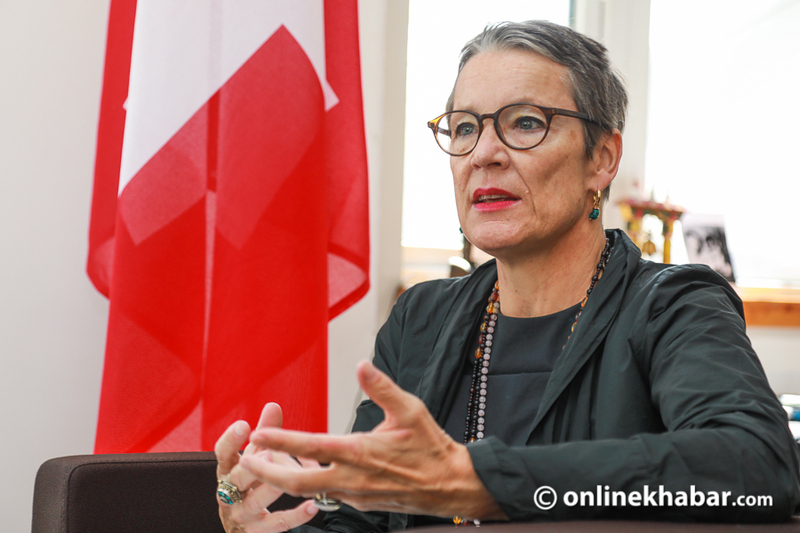 The Swiss Embassy’s new strategy for Nepal has identified districts of Province 1 as the priority region. What is the rationale behind choosing only one of seven provinces of the country for development cooperation? We have some programmes that include activities such as the construction of trail bridges across the country. We also have programmes that support local governments and communities to implement the new federal system in Province 1. There are other donors focused on other provinces. And, we work in cooperation, trying not to duplicate. For example, if someone from Taplejung requests DFID for support, they forward it to us. We are in Province 1 for many years ago. We know the places there, and we have the confidence to work there. 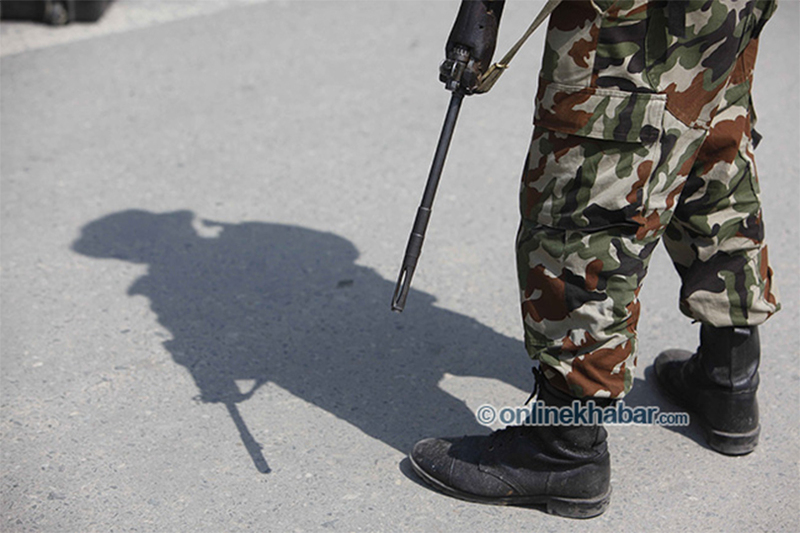 Under the new federal system in Nepal, server issues related to foreign aid have come up. Local governments are not allowed to negotiate with donors and everything has to come through the federal government. I think this requirement is about justice for local units. Rolwaling, for example, does not have the same bargaining power as Kathmandu. 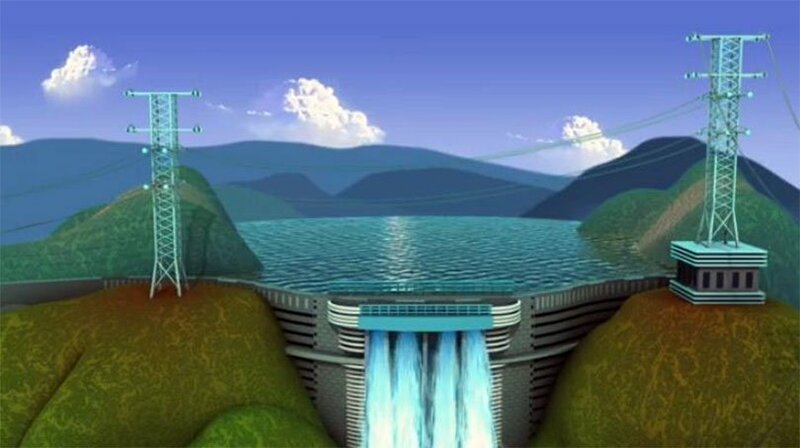 While working in Province 1, we have the federal government’s approval for various projects. When you have a transparent federal government, ready to provide a fair share of development aid to everyone, I think we should support it. We have to wait a while to see how the government will manage it. But, I am not much worried at the moment. Even in Switzerland, if another country comes and says it wants to support a particular province, there is some problem. We have to ask: Why that province? What is the reason behind the selection? The reaction in Nepal is almost similar. But, in Switzerland, we have a different taxation system. Most of the taxes are collected at the local level. The local governments have the right to decide where to spend on the budget; they don’t have to wait for the federal government’s decision. At the same time, a richer local unit has to support the poorer ones. I have understood that this system is coming to Nepal as well soon. Many local governments in Nepal are dealing with post-earthquake reconstruction issues these days. Perhaps it has affected their efficiency. The international community is apparently critical of about the pace of reconstruction in Nepal. What is your opinion on this? When you look at Christchurch of New Zealand, it took around six years for the reconstruction there. Nepal is not in the sixth year yet. When you compare the pace of Nepal’s reconstruction effort with other countries, it’s not so bad. It is better than many other countries which are well developed. Of course, it could have been faster; but this year we have seen it is gathering momentum. This issue is like the question of whether the glass is half empty or half full; I see the glass half full. But I have two suggestions for the government. First: the local governments should be engaged. I think if the assignment had been given to the local government, say the National Reconstruction Authority had been working at the local level, it could have been faster. The second: the government should take into account how the poorest people, those living in the farthest areas can benefit. Now let’s move on to the issue of transitional justice. Nepal’s government has been criticised for its handling of the issue. Do you share the general opinion that the process is taking longer than expected? I was here in Nepal in 2007. Taking the situation at that time as a baseline, what happened after that is tremendous. There was the peace agreement, the army integration, the constitution, then the elections after the earthquake. I would say that dealing with the past is a challenge for every country; it involves a very delicate process. We think that this should be a Nepali-led process and the victims should be at the centre. We have repeatedly heard from the Minister for Justice that victims will be included in the process. The government is talking to the victims. Probably, behind the scene, something is going on to improve the effectiveness (of the transitional justice mechanisms). Yes, this should be a Nepali-led process. But, Nepal needs friends; and we are the friends of Nepal. It is better if Nepal tells its friends what it wants from them than the friends tell Nepal what they have to do. Nepal should be open up and ask for support. There was impunity in the past and impunity needs to end. There is a need for the rule of law. Economic development can only happen when there is rule of law. How the issue of transitional justice is dealt with also has a bearing on economic development. When Prime Minister KP Sharma Oli was in Davos recently, the international diplomatic corps in Kathmandu issued a joint statement on transitional justice. The incident showed that there is lack of cooperation between the international community and the government. What is your opinion about that? For us, it was a signal to the government that we are with the government and we would really like to support Nepal. But also, another important message was we need to see something happening. It should be seen in a positive light. By the time you wrap up your assignment after three years, the incumbent governments at all levels will be preparing for the next elections. What do you want to see in Nepal during your term here? I would like to see that people are not disappointed. Nepalis really deserve to have a stable life and political situation. I would like to see the local governments play the role that they are entitled to. They need to have sufficient staff and financial resources. There should be an understanding that the local, provincial and central governments should not work against each other. When the new government got elected last year, there was a lot of enthusiasm and excitement. But, now, the honeymoon is over and it’s time to show the results. I think there are already some good results, but they are not shown to the people. Many rural municipality chairs and deputies have done significant jobs. These kinds of stories have to be shown to the people. What you would like to tell to Nepali people? You have a unique opportunity to build the country, which is one of the most beautiful countries in the world. Each citizen has to contribute to making the new federal system functioning. Then, your society has to give sufficient space to young people so that they don’t have to migrate. It is not only about economic options, but also about the social fabrics. Give them space to fulfill their dreams, be creative and innovative because that’s what Nepal needs.